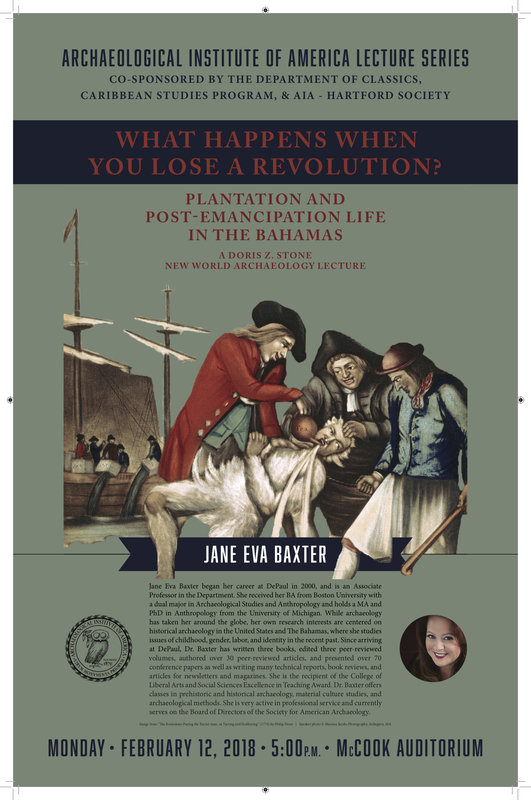 On February 12 2018 we were treated to a visit by Dr. Jane Eva Baxter, who delivered an Archaeological Institute of America lecture about her work on the archaeology of plantations in the Bahamas, entitled “What Happens When You Lose a Revolution? 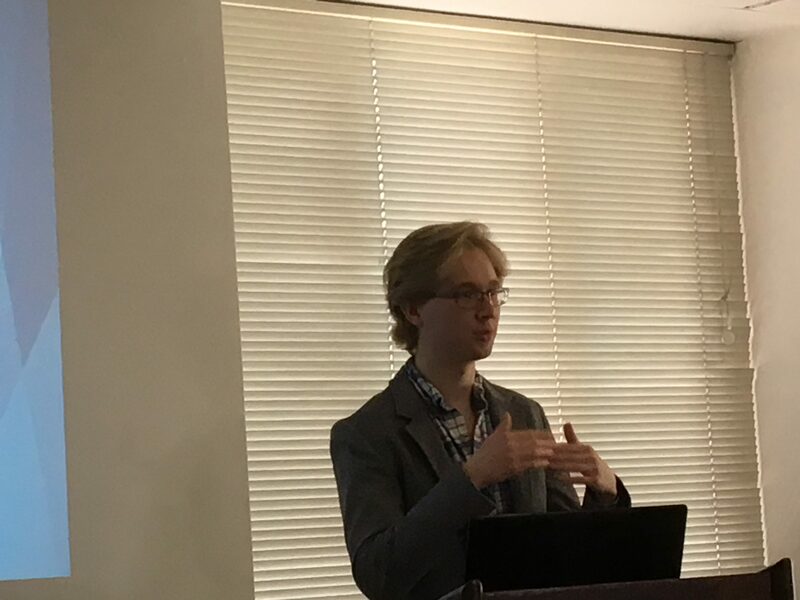 Plantation and Post-Emancipation Life in the Bahamas.” The lecture was co-sponsored by the Archaeological Institute of America – Hartford chapter, the Center for Caribbean Studies, and the department of Classics. 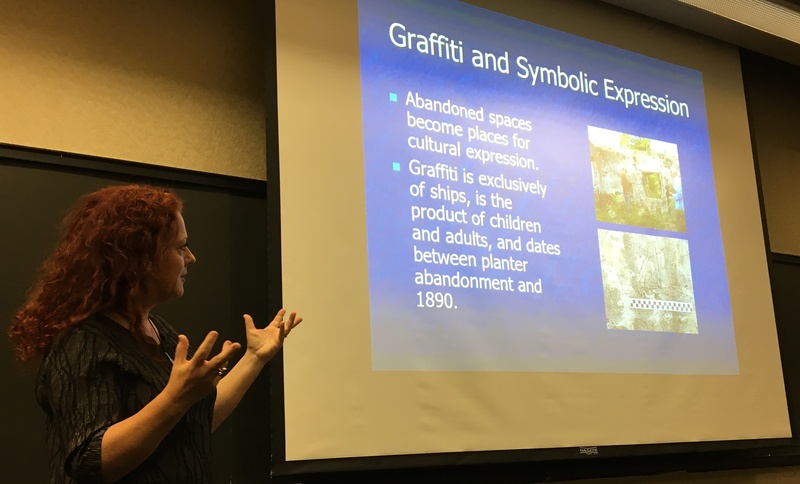 My personal favorite part of Dr. Baxter’s presentation was when she talked to us about some of the graffiti that she found in one of the plantations (below). Noting the height of this set of graffiti, Dr. Baxter pointed out that these drawings of ships were likely made by and/or for children. Thank you, Dr. Baxter! This entry was posted in Uncategorized on April 25, 2018 by vtomasso. Ribbit—I mean, Brekekex Koax Koax! 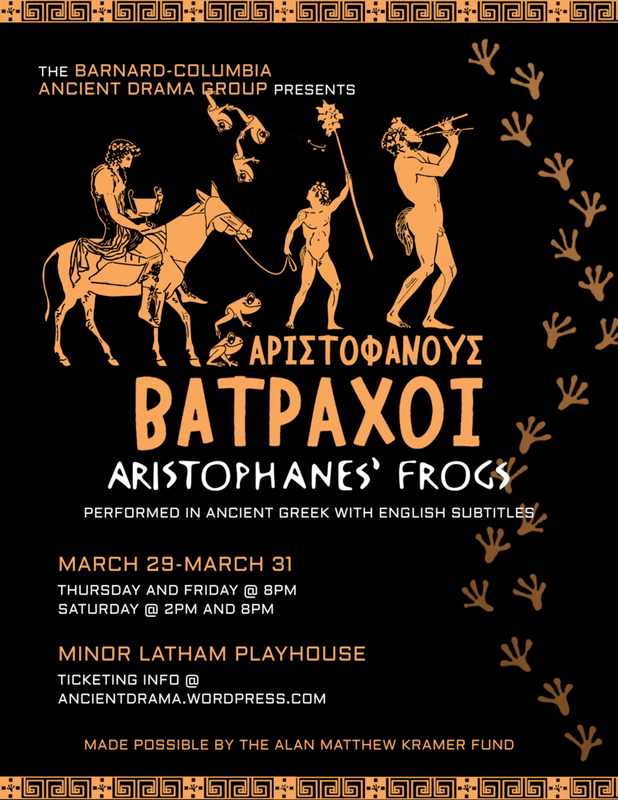 On March 31 2018 Dr. Lauren Caldwell of the department of Classics and the department of History took the students in her advanced Greek course to see a performance of Frogs by the ancient Greek playwright Aristophanes. 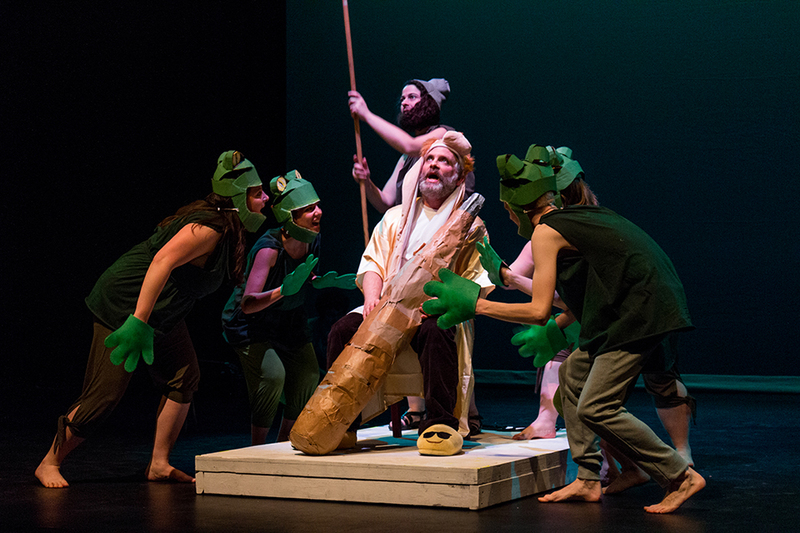 Frogs was presented by the Barnard-Columbia Ancient Drama Group in the original ancient Greek with English supertitles (right). 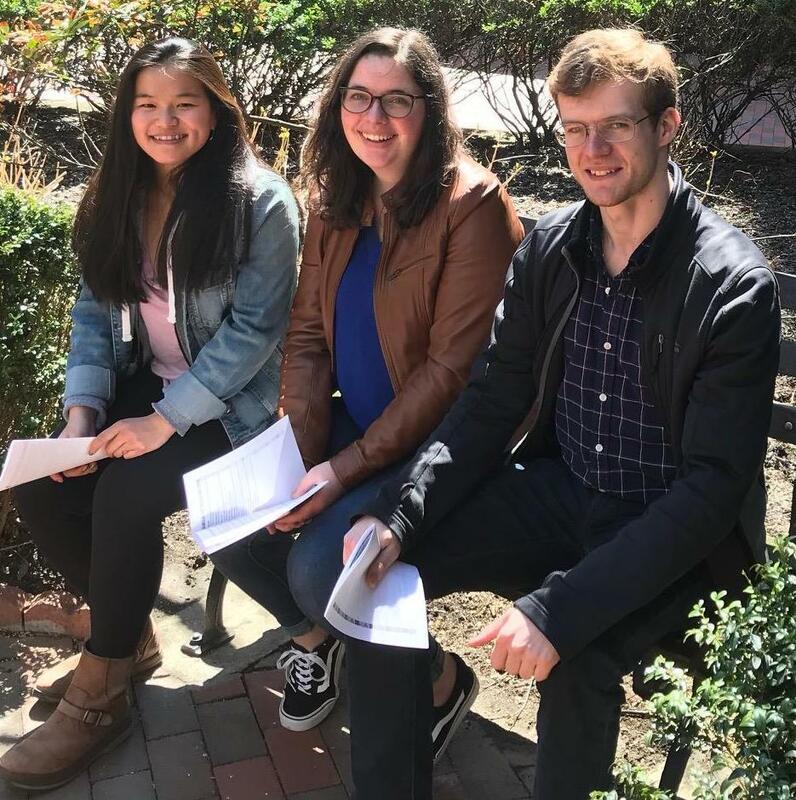 Students Lydia Herndon, Trea Mannello, and Will Verdeur enjoyed the innovative staging of the play and some camaraderie and conviviality in the heart of New York City (below). 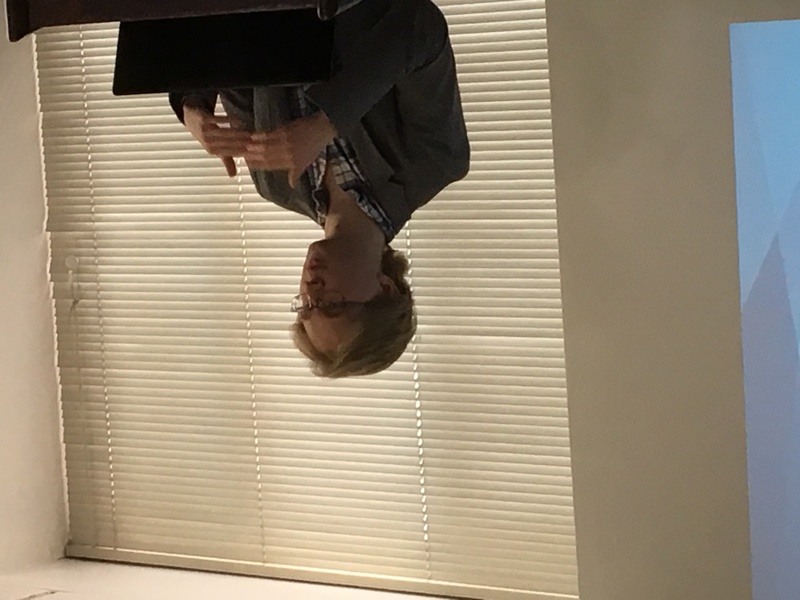 Earlier this month, graduating Classics senior Dylan Ingram (below) wrote an article for the Trinity College campus publication The Trinity Tripod. The subject of Dylan’s article was the visit to the Trinity campus by the LaMaMa performance group from New York City (above), who talked about their Trojan Women project. Dylan writes about how modern dramatists have to interpret Greek texts, which have few to no stage directions or annotations, for modern audiences. 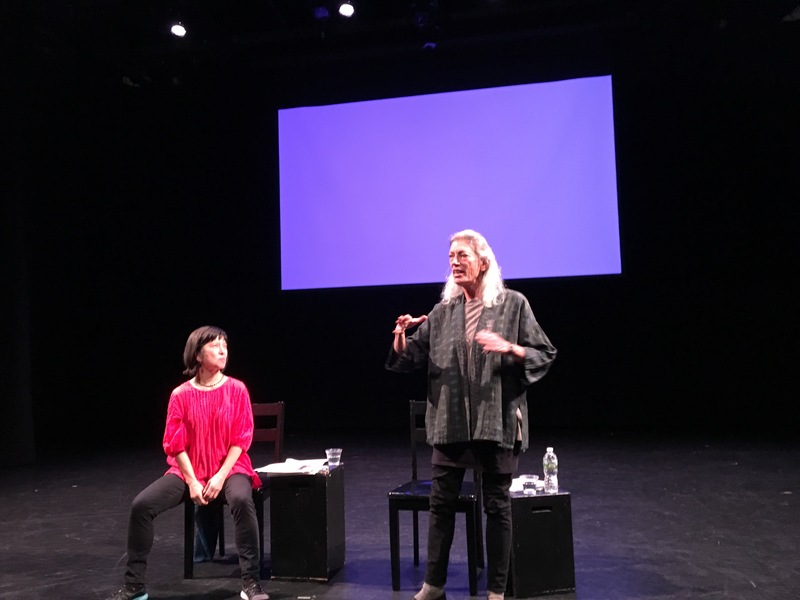 The link to Dylan’s article is here: http://commons.trincoll.edu/tripod/2018/04/09/la-ma-mas-trojan-women-explores-ancient-theater/ Congratulations, Dylan!